12 Oz. 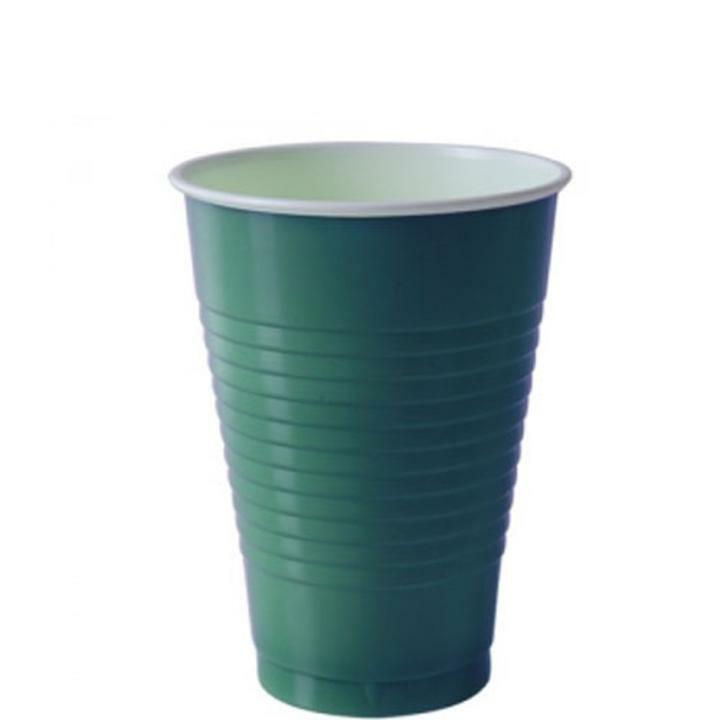 Dark Green Plastic Cups - 20 Ct.
Great for birthday parties, baby showers, and much more! Dark Green Cutlery Combo Pack - 48 Ct. Dark Green Luncheon Napkins - 20 Ct.
9 In. Dark Green Paper Plates - 16 Ct.
12 Oz. Dark Green Plastic Bowls - 12 Ct. Dark Green Beverage Napkins - 20 Ct.
10 In. Dark Green Plastic Plates - 50 Ct. These 12 oz., plastic cups are the perfect way to serve drinks at your next event. Made of a glossy, lightweight plastic, these 12 oz. cups are a fantastic, budget friendly addition to any table setting. Choose from 16 beautiful colors! Great for birthday parties, baby showers, luncheons, and much more!